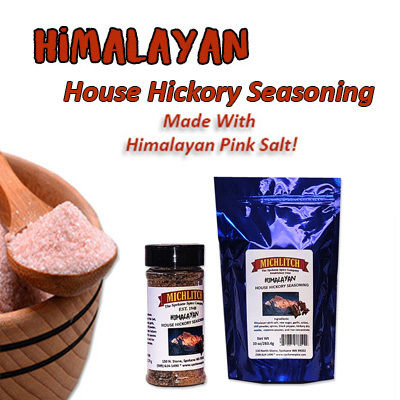 Himalayan House Hickory Seasoning Made with Himalayan Pink Salt. Chock full of hickory taste with rounded flavor this is a very smoky and rustic meat rub. These coarse spices give a hearty, robust flavor. Pink Himalayan salt is one of the best-quality salts on the market. It is hand mined in the far reaches of the Himalayan mountains. They are one of the most pristine and untouched places on earth. Himalayan Salt re-mineralizes the body with minerals and trace elements essential to our health and well being.